Aren’t There More Important Things to Worry About than Grass? I’ve never cared much for my lawn before. When I was younger (because I was told to) I mowed my parents’ and grandparents’ lawns, and even mowed for a lawn care company. But this Spring when a sea of dandelions washed over my lawn, I took it personally. The following is what I’ve learned about cultivating pride in your yard’s turf, and turning your weed-patch into a respectable lawn. I like to golf. Golf courses typically have very nice turf. So when an army of yellow flowers, clover, thistle, creeping charlie, and who-knows-what overtook my turf, my lawn stood in high-contrast with my course’s fairways. I decided I would have to go beyond simply mowing and trimming this year. Set your mower to cut your grass at least 3″ high. Once you get your weeds under control, tall grass helps to shade out new weed upstarts. This will also help to green the turf in prolonged dry spells. Furthermore, it promotes root growth (think of the height of your grass blades, and that’s about how deep the roots go). EDIT: June 2011 – This year I’ve been mowing as high as I can set my Craftsman brand push-mower, and I’m surprised at how people have commented on how nice the lawn looks. I’m sure that I’m mowing at least 4 inches high now. As your weeds disappear, your grass will grow to fill in the gaps and new weeds will have less area to gain a foothold. This doesn’t happen overnight. 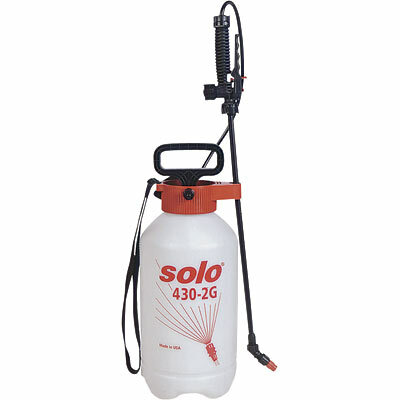 When I decided to eradicate weeds, I researched “natural” and organic techniques, but decided that I needed to try chemicals first due to the extent of my infestation. I feel guilty about spraying chemicals on my lawn that will likely runoff to water supplies or wetland habitats, but I’m able to rationalize chemical herbicide usage for now. This spring I started off with a “Weed & Feed” treatment. This is a bag(s) of granules with both fertilizer and herbicide mixed in. 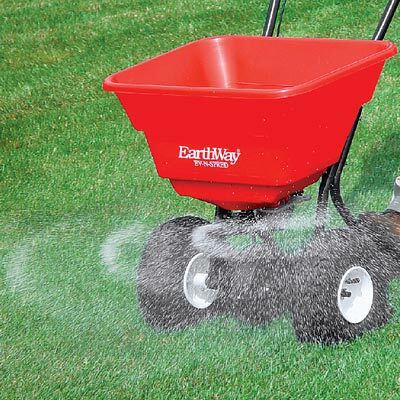 I used a broadcast spreader to apply this to my lawn, and followed manufacturer directions on how much to put on each 1,000 sq/ft. After about a week I noticed a lot of the dandelions started to curl and wilt. after 2 or 3 weeks, I felt that the herbicide had done all it was going to do. This is when I began Spot Spraying. Of course, I don’t have a 100% weed-free lawn, and I never expect to. I just want to create the environment that encourages my turf to grow in thick and choke out unwanted plants. As this continues, weeds become less of a problem and more of an ongoing minor-maintenance issue. By next Spring or Summer, I plan to start using home-made “organic” herbicides. This involves something along the line of mixing vinegar, dish soap (to stick to leaves), and possibly citrus or clove oil mixed with water. I’ll probably update with my experience at that time. I like "Process-Oriented Completionist" games. Like hole.io. Watch The Most Satisfying Gameplay Ever. This magnetic fluid sculpture video is crazy. Make your own Jackson Pollock in mere minutes. Maybe you could edit the webpage subject Explanation Image: plug / core aeration of your lawn | Designer Rants to more catching for your content you write. I enjoyed the post however. Thanks for the heads up. I changed the title of the page. Just joined the gang. Hope to have excellent time here. Thanks for your personal marvelous posting! I definitely enjoyed reading it, you will be a great author.I will always bookmark your blog and will come back later on. I want to encourage you to definitely continue your great work, have a nice holiday weekend! Hey – I am definitely glad to find this. cool job! Love your post man. Would definitely try this at home. 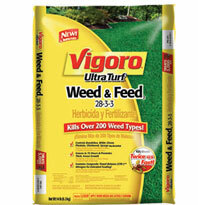 Do you need to put some type of new grass food after seeding? Should you seed in the fall and in the spring? Is it ok to seed like this for overseeing and new seed on dirt? I don’t know about the grass food, you should probably do more research if you think this is important for your area.. I’ve overseeded more times without fertilizing than I have with fertilizing. To me, it’s the watering that’s more important. The Spring can be great if you live in an area that has “May Showers”, because then nature does the watering for you. Fall can be good, but rain isn’t always as plentiful. BE CAREFUL OF MUDDY LAWNS though. One time I made the mistake of renting an overseeder and the lawn was really saturated, and the seeder kept bogging down and getting stuck, digging in, no matter how high I set the blades (and then they’d be too high to cut seed trenches in other parts of the lawn). It was pretty worthless and made me realize you need to find the “Goldilocks” conditions of not too moist, not too dry–although dry is better than saturated. I don’t know if you want to use one of these on bare dirt. Probably won’t hurt, and may still be good for breaking clods and cutting seed trenches, but make sure you do it when the dirt is pretty dry or it’ll be tough going (you’ll hate it). And you should research more about putting straw or some sort of material down to retain moisture in the dirt after seeding. It’s no fun if you get a lot of rain and it washes your seeds and topsoil down the street.